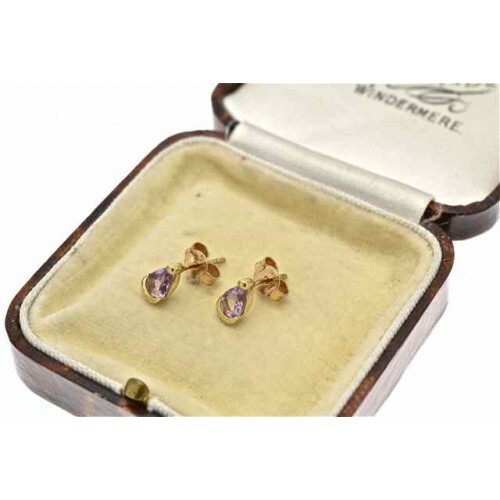 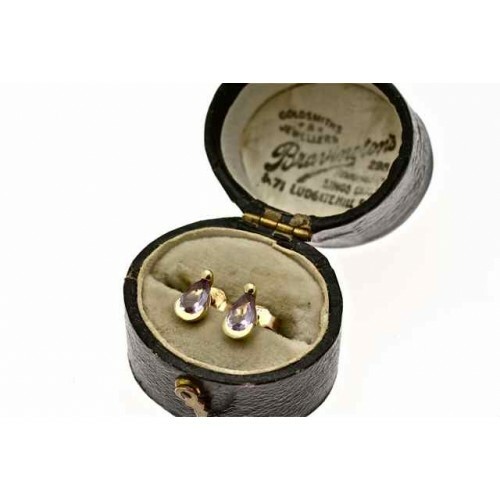 9ct gold stud earrings with Amethyst set stones. 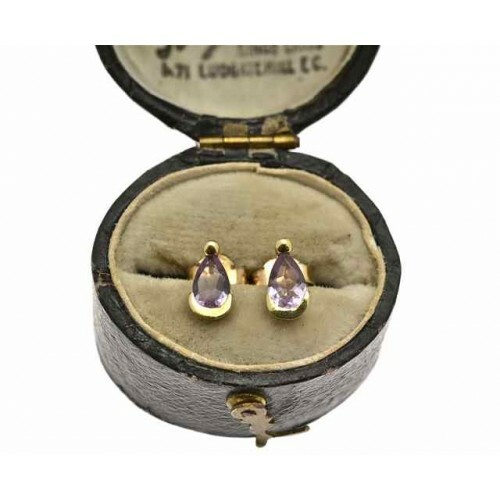 9ct gold stud earrings with Amethyst set stones. 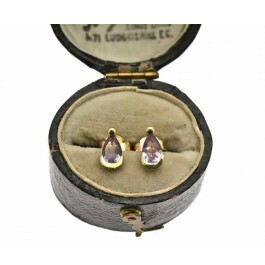 The teardrop shape of the stone gives the impression of a drop earring with gold on the top and bottom.